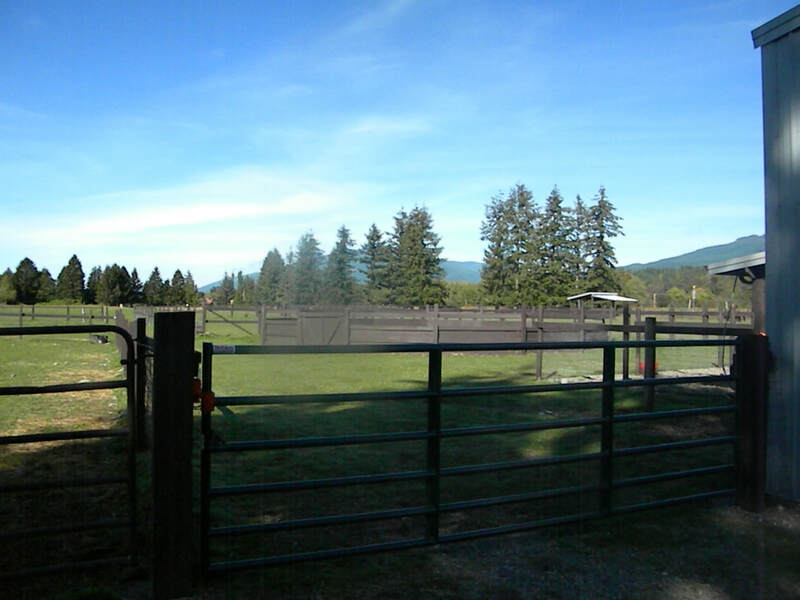 here in NW Washington. 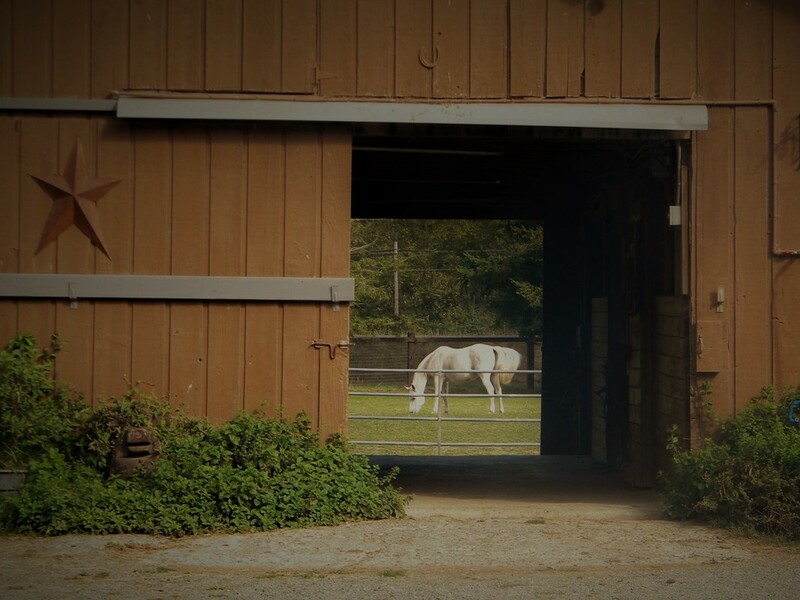 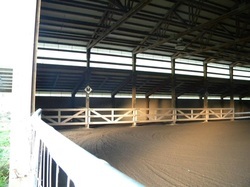 Large mirrors, an insulated roof, excellent lighting and the ability for this arena to be fully enclosed make for a comfortable place to ride during hot or cold weather. 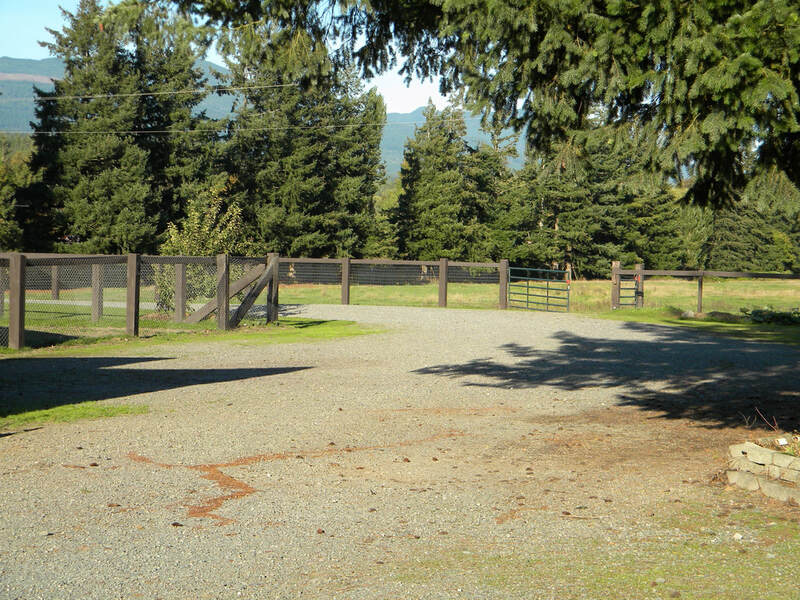 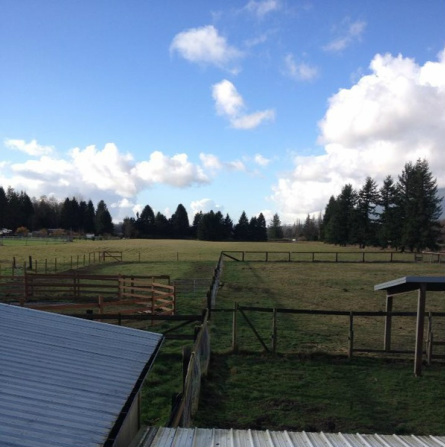 View looking West at the pasture and roundpen while in the construction process. 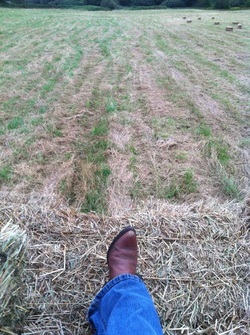 We feed quality, local and Eastern Washington hay. 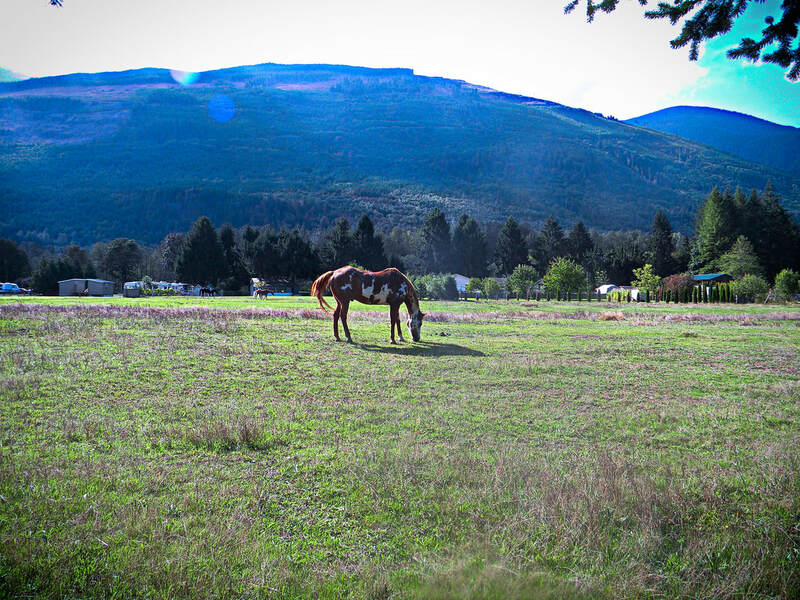 Depending on the amount of horses living here, we have also harvested our own hay right here on the ranch. 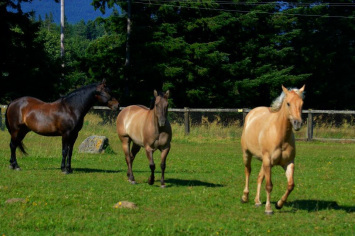 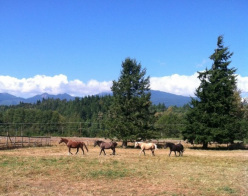 Horses are turned out daily in one of our grassy pastures. 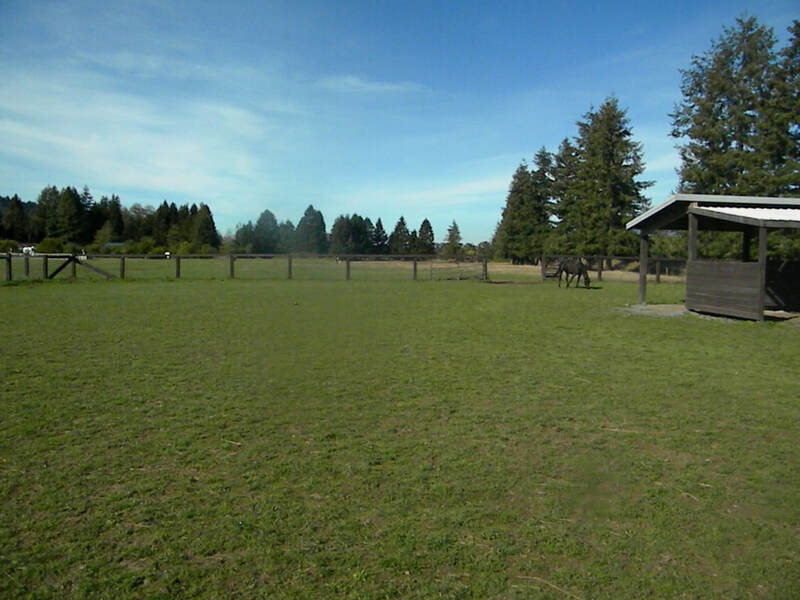 Most of the fields have either a grouping of evergreen trees or a covered area they can hang out at to get out of the wet or to get some shade in the summer. 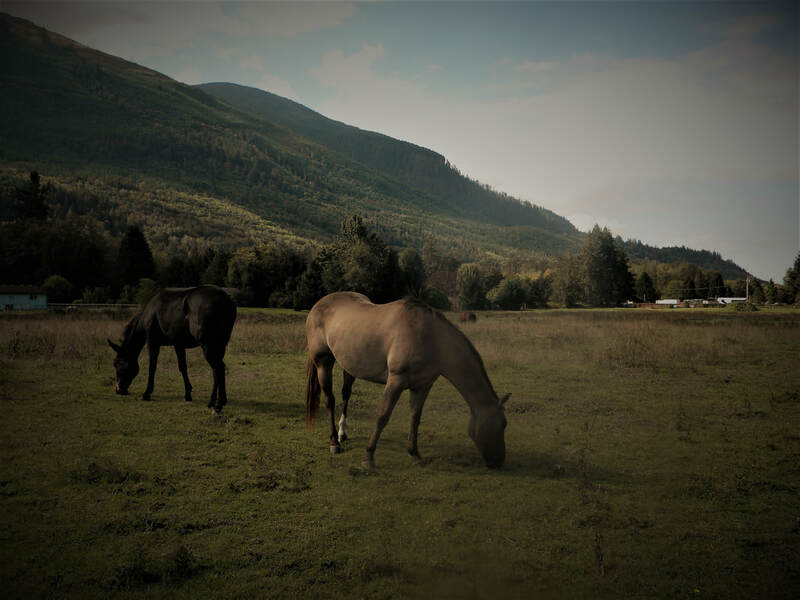 There's a variety of sturdy, horse-safe fencing materials used around the ranch: Railroad ties or wooden post with woven wire mesh and a thick top rail and high tinsel electric fence in the big pastures.